Camping is a fun outdoor family activity. Taking your family camping can create memories that they will never forget. 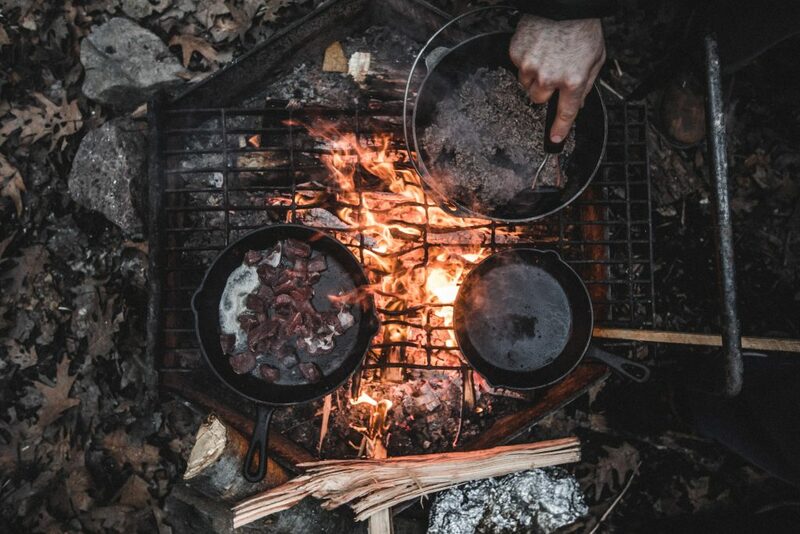 However, before you go, you want to make sure that you have all of the necessary camping equipment that you will need to have a great camping trip. One of the best parts of camping is the food that you get to enjoy and do not eat all the time at home. Having a camp grill that is easy to use as well as made for the outdoors is a huge plus for any outdoor camping adventure. Camp grills come in all shapes and sizes, as well as price ranges. Using a grill that is easy to set up can make your trip so much better. The Quad Pod grill is one that offers these features and so much more. This grill has four sturdy legs that will make cooking on an open fire a breeze. Weighing in at 13 pounds, this grill is very portable and easy to carry, which is great if you have to carry supplies at any distance. Setting up the Quad Pod camp grill is easy. There are no tools required. You can adjust the grill to the height that is needed for your fire, which makes this grill even more versatile. With an extra side table, you have the ability to prepare your food or you can use it for extra cooking space on the grill. Most portable grills are not easy to clean, however, this one makes clean up very easy. Because you can break the grill down to the racks, you will not be spending all night cleaning it. The Quad Pod grill is chrome plated, which helps prevent food from sticking. Camping trips should be fun and memorable. Making sure that you have a good camp grill is part of being ready for your camping trip. The Quad Pod is affordable and a campers’ dream grill. After using it once you will wonder how you ever camped without it. Make sure that your next camping trip is one that is remembered with good food and fun times by your family. This entry was posted in Camping and Survival and tagged Camp Cooking, Camp Grill, Camping.